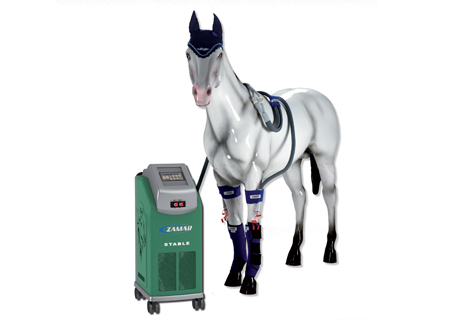 Cryotherapy, or cold therapy, has been shown to prevent laminitis in the at-risk equine patient and is often recommended for relieving pain and inflammation in the acutely laminitic horse. 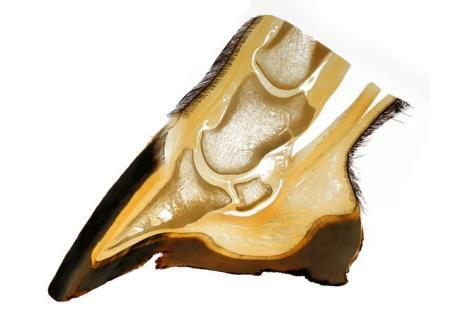 In a workshop at the international Equine Conference on laminitis and Diseases of the Foot held in West Palm Beach Fla., three laminitis researchers discussed commonly used cryotherapy methods. Cryotherapy is known to have anti-inflammatory effects, along with analgesia (pain relief), vasoconstriction (narrowing of the blood vessels), and hypometabolism (which reduces the metabolic demands of the foot of, as Otini explained it, “puts the foot into a temporary state of hibernation”). 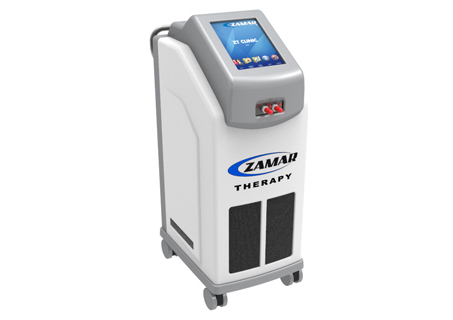 The therapy’s key mechanism is that it reduces enzymatic activity in the lamellar tissue by about 50% for every 10 C in tissue temperature. Reduced metabolic needs of the lamellar tissue and enzymatic action. Some cryotherapy methods are more labor-intensive than others. Basic methods include icing and bandaging; applying an ice sleeve, ice pack wrap, or equine ice boots. However the effects on the hoof if constantly immersed in water can cause various other problems. 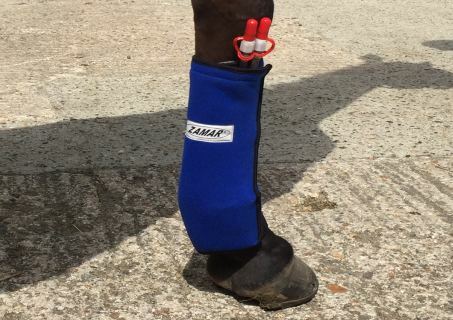 The use of a Zamar cooling and compression system – which presents a superior and more effective solution (Zamar created a unit on a swivel apparatus attached to the waps that allowed the horse to move around its box while being treated). 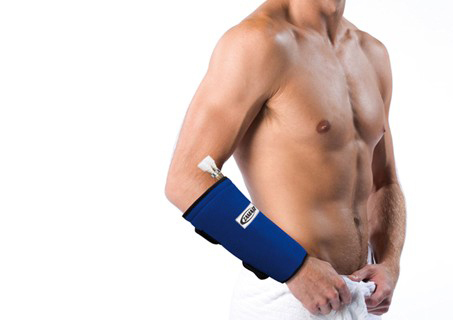 The research noted that the range of suitable cryotherapy methods if limited only by one’s imagination, but owners should remember cryotherapy’s positive effect stem from the circulating action of the ice. Such benefits cannot be achieved by simply standing a horse in a cold environment or material such as snow. 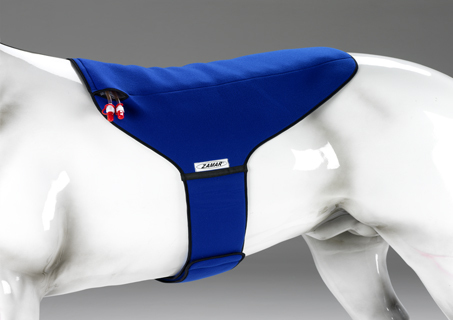 ZamarUK machines provide a constant, comfortable way to help your horses health and promote Laminitis repair.